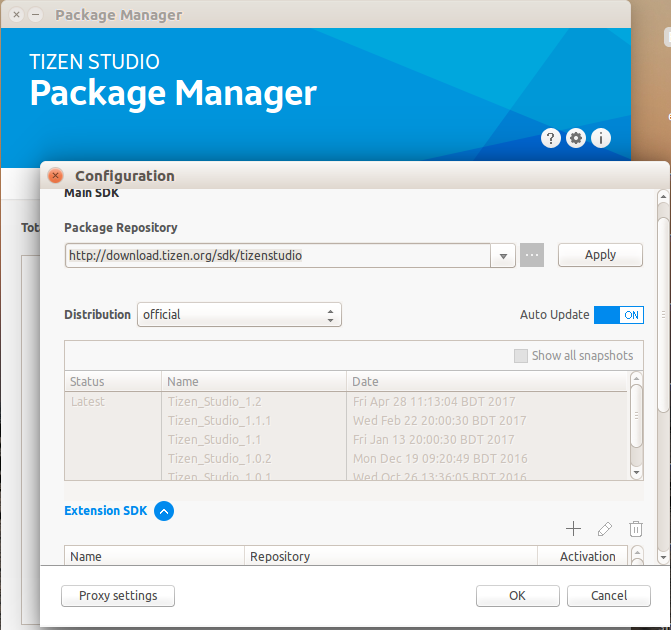 hi dear, i have question about instalation of tizen studio. so honestly i have to try instal tizen studio and getting success at all in many computer or laptop of my friends. 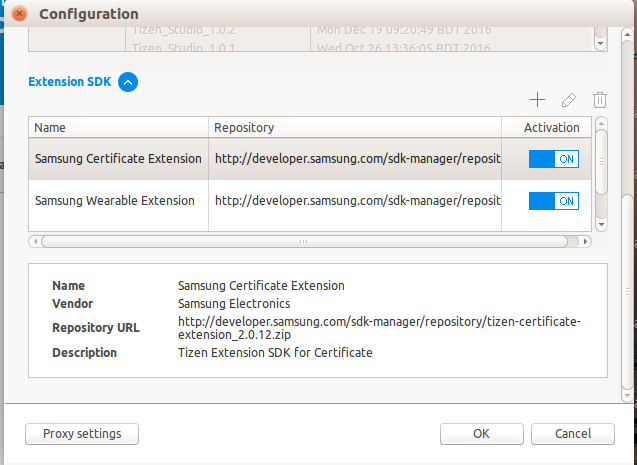 but i got a bit problem now, so i have to install Tizen Studio 1.2, and at the part where i must install Samsung Certificate Extension at Extension SDK or Configuration, i still can't see Samsung Certificate Extension. 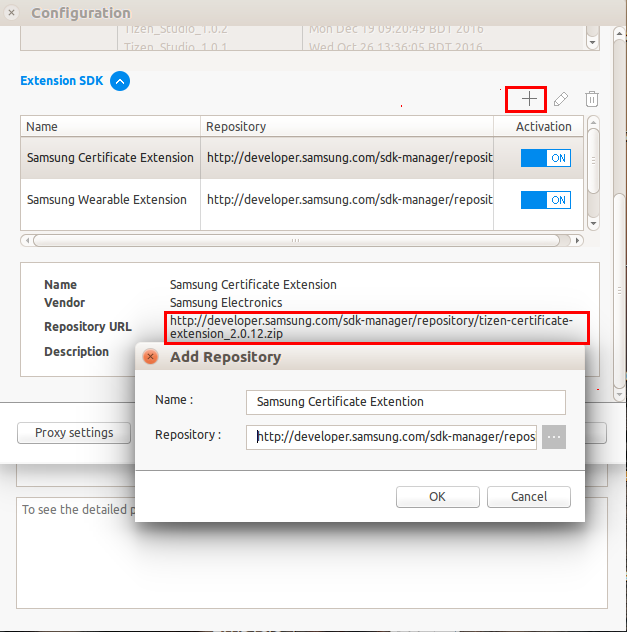 i try to change the package repository url but still at extension sdk i can't see Samsung Certificate Extension. any idea about that? thankyou so much..
Make sure Samsung Certificate Extention is activated here and URL is right. so this is my problem here.. actually if i change the repository url at other pc, samsung certificate extension is available.. but at this one pc, theres nothing here.. Simple add the Repository URL by clicking on the '+' icon and put the name and URL given in the picture here. Also make sure that is 'On' in Activation column. Can you manually download the zip by clicking on the URL ? Also please check Proxy Setting... System Proxy settings should have been selected by default. If still not works, i would recommand to uninstall current version with all the directory and download new Tizen Studio and intall again. hi @André Reus thankyou so much for your help.. yes finally i have to solved this problem. and for note.. the problem is actually in my windows user profile name. i name it as "b@computer" so the tizen studio cannot really access the character @ or other.. and after i reinstall my windows and this works again.. thankyou so much for your help..
로그인이 필요한 서비스 입니다. 로그인 하시겠습니까?